A few weeks back I traveled with a team of girls, and one day I took pictures of some of them..
Scarlett. I don't know why everyone has to be sprinkled all over the US and all my friends can't just all live in Iowa. :P [sigh] I met this Alabama-southern-belle-girl last summer and was kind of excited to get to see her again. :) she has the cutest laugh/smile, oh, and her accent is de bomb. I mean, because she can do a legit southern accent, unlike my totally fake one. ;) Allison...she is so happy and I love her fun personality. Seriously sharing funny stories or getting ideas from her leaves me grinning ear to ear and feeling all inspired. So glad I get to see her more this summer!! Ruth...very sweet and so fun to be around-- right when I met her I found out she loves orange as well [holla!] so we were instantly kindred spirits. :) yay for new friends like her! Natalie. this girl carries herself and acts with a maturity beyond her years-- it's hard to describe but one word that comes to mind is grace. Everything about Natalie is graceful, sweet and collected. I met her last summer as well and loved the late night chats and stories she shared. hope you enjoyed 'meeting' a few of my friends! loved my time with these girls and everyone else on our team! I would go to bed many nights with my cheeks hurting from laughing/smiling so much! That's how you know when you're having fun, right?! :) hope everyone has a lovely weekend! Oh, and could you resend your e-mail? Our main computer is not working so I lost your e-mail. These are such amazing pictures!! :) I love the ones of Ruth!! I have the awesome honor of knowing her! So neat how you could capture her sweetness and love in your pictures! And ALL your pictures are AMAZING! o orange totally my fave as well. Ah, these portraits are so lovely! And yay for BL friends - so thankful for them :) Blessings, Hannah! Beautiful pictures again! 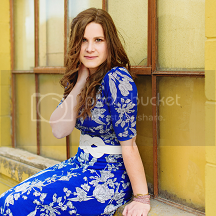 :) Natalie is absolutely stunning! She looks like an actress.